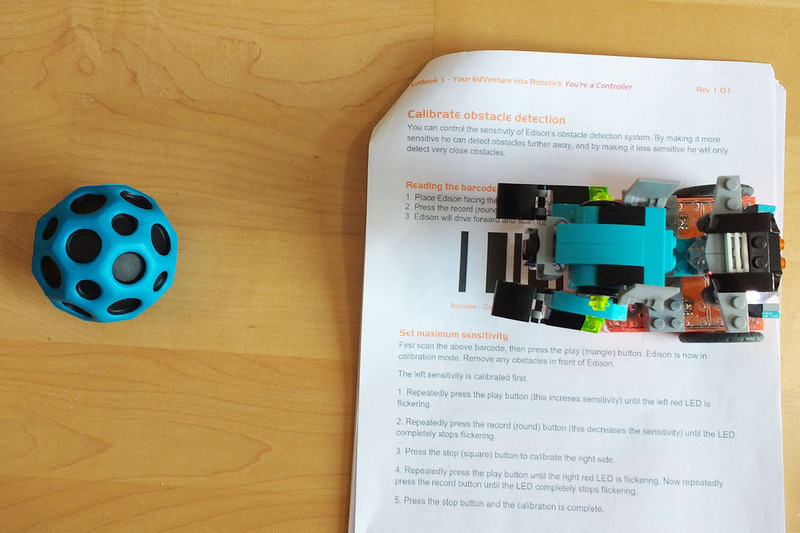 The Edison programmable robot has a new editor: EdBlocks. We got asked to try out EdBlocks before it was announced and provide our feedback. 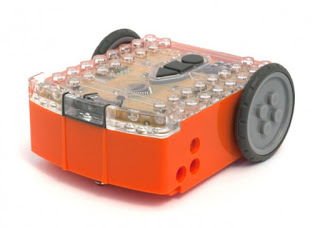 We're familiar with the Edison robots, they're an inexpensive LEGO compatible option which we'd recommend for school and home. Disclosure: We were sent an Edison 2.0 robot to review. As always our opinions are our own. EdBlocks is a new editor based on the Scratch 3.0 code base. The current version is designed for desktop computers but also works on mobile devices (there will be an app in future.) Scratch 3.0 is a collaboration between the Scratch and Blockly teams and will provide a starting point for block based editors which will support horizontal and vertical layout. EdWare, the older graphical editor is still available on mobile and desktop and is useful for more advanced funcitonality. We used EdWare for our previous projects. We should also mention that Python coding is available for more experienced coders. Overall, EdBlocks has achieved a big simplification of programming Edison. It's much easier to drag and drop blocks in the editor, especially on a tablet - this could be a bit tricky in the old editor. The set of concepts offered is also much easier to work with. You can create simple projects much more easily. The start events are a lot easier to work with and there's no need to create variables to work with the remote control. The Scratch Jr style coloured message envelopes for events is also much easier to work with than the previous version. Programming music is now done through blocks that use musical notation. This is quite visual, but in my experience children who don't read music can find working with musical notation a bit tricky at first. If you're on a desktop you can hover over the blocks with the cursor to see the letter name which helps, especially if you want to refer to notes by name. I think I'd prefer to see the letter names added to the blocks so that they're always visible. We did find some areas for improvement. Some of these may be due to the underlying code base and we're sure we'll see improvements over time. It's quite hard to scroll through the blocks in the various sections on a touchscreen as you only get a small scroll bar. It's easy to accidentally tap a block when scrolling. I got my 8 year old to try the editor and this was the part he really struggled with. He kept touching the main panel and closing the palette, it took him several attempts to add a remote control start event (they are right at the end.) This child is not unfamiliar with either the iPad or coding! His laptop also has a touchscreen so he'd also have the same problem on desktop. We also found that the 'duplicate' and 'delete' options (accessed via a long press on a tablet) are tiny and you could easily tap on the wrong one. The actual blocks seem enormous, especially when compared with Scratch Jr which actually has quite small blocks. Smaller blocks would also reduces the need to scroll. You can zoom out in EdBlocks, but I think a smaller default would be good. On the other hand, the text menus have a really small tap target which can be tricky for kids. We started off dragging blocks to the trash can when we didn't want them but it's much easier to just drag them back to the palette, we're not sure what the trash can adds. It made my son think he had to use it. My son was a bit disappointed with the trumpet block which just beeped, he was hoping for a fanfare! These are pretty minor issue overall. Certainly nothing that would stop us recommending EdBlocks. The new EdBlocks editor is recommended from age 7. This seems about right with some support to get started with understanding what Edison can do. It's definitely more accessible to younger children (and me!) than EdWare. New lesson materials are friendlier for a younger audience too. You can only properly try out an editor by trying to do a project with it. Actually, by getting a child to create a project with it! We've got the LEGO Robo Explorer set, this is a 3 in 1 LEGO set which includes a light up brick, but no other electronics. My kids' favourite model is the robot dog and my 8 year old son decided it would be fun to use Edison to give him some actual robot capability. Edison has LEGO compatible studs on top so attaching LEGO is easy. 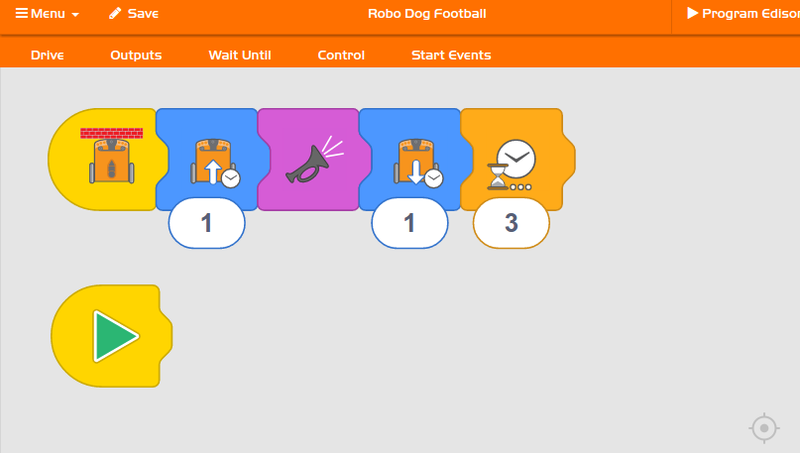 LEGO Robo Dog provided the basis for a real project to try out EdBlocks. We had to calibrate Edison to be able to detect the ball at the right distance, this is done using bar codes and is a bit fiddly. It would be good if calibration could be set in the editor as it's specific to a program. We really like the budget little orange robot and EdBlocks makes it easier to program, especially for younger children. With the EdWare we tended to use a desktop as the tablet app wasn't as easy to use but EdBlocks has moved us to a tablet even though the app isn't available yet. It's great to sit on the floor and come up with a project and quickly program it. And LEGO Robo Dog finally got some real robotics. He's very happy.